Will I Watch Smash Ultimate Tournaments? I’ve been really getting into esports for two years or so. One of my favorites is super smash bros Melee. 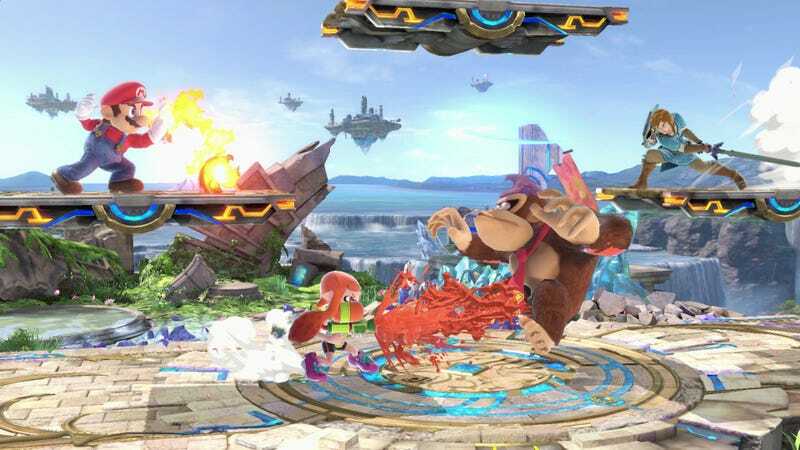 After watching the E3 invitational of the upcoming super smash bros Ultimate, I’m not sure if I’ll watch more competitions. After getting into Melee, I decided to try and watch smash WiiU. I did not like it at first. But I decided to try and watch some more. Because competitive Melee didn’t exactly grab me right away either. It was after Evo 2017 that I gave up. It bored me. There’s a reason why Melee uses 4 stocks (lives) per player and Smash WiiU uses 2. Smash 4 is a very slow game. So I was curious about the gameplay in Ultimate. It appears to be very similar to Smash 4, albeit somewhat faster. I was concerned going in because one of the announcers proclaimed, with great enthusiasm, that the game is very fast. It also seems as if they’ve made it much more difficult to knock players out. Even at high percentages, player who got hit would start to fly out fast, but then quickly decelerate. Bayonetta seems to be the Brawl Meta Knight of Smash Ultimate. She was able to use, what appeared to be, unlimited up-airs to knock the new Ridley off the map. Maybe the long awaited Ridley will end up being a low tier character. But like before, I guess I won’t give up on it just yet. They were playing with items and final smashes turned on. The game also isn’t out yet, so players haven’t been able to see what it can really do. Right now the speed of the gameplay seems to be somewhere between Project M and smash WiiU. It’s obvious that Mr Sakurai has no interest in the Melee style anymore. I get very confused by people who appear to be ‘anti-melee’. They argue that because it’s a 17 year old game, it should be abandoned. Even though the scene grows larger every year. I wasn’t aware that video games had expiration dates. But that’s an article for a different day.